We found out last year that Nicalis, well known for their Cave Story game, had become licensed Wii U developers. 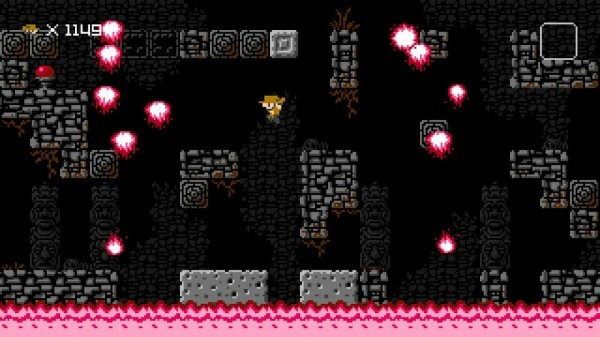 Now, it has been announced that they are hoping to bring 1001 Spikes to the Wii U’s digital download service. The indie platformer is a remake of the Xbox Live game Aban Hawkins & The 1000 Spikes. The game stars an adventurous gent trying to save the woman he loves; and to do this, he must dodge many spikes. The new version that will be coming to the Wii U and 3DS will have redesigned sound and art as well as local multiplayer. Even better news is that Nicalis hope to have the game ready for launch. I heard that 1000 Spikes was a sleeper hit. Let’s hope the sequel for Wii U’s digital download becomes another sleeper hit. I have not seen this posted anywhere else. An improved version of Aban Hawkins is completely confirmed for Wii U? Where? WHERE IS MAH SOURCE? !